WIN SPRINGBREAK AT SIX FLAGS! What to do during Spring break… What to do!? 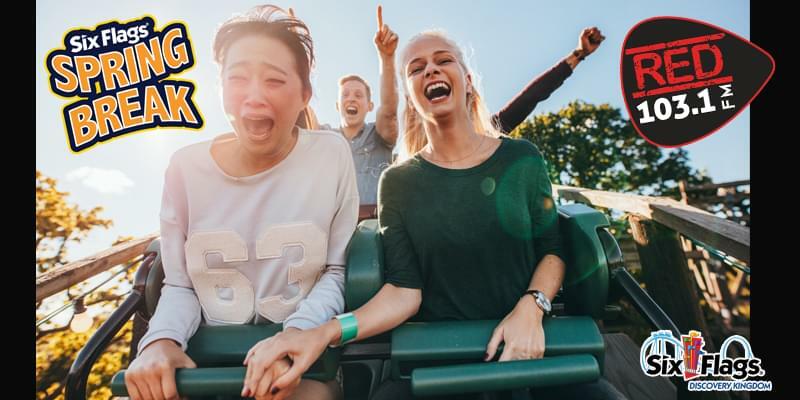 Dave Tappan and Ryan O’Brien have a suggestion how about you and a guest go spend the day at the Thrill Capital of Northern California… Six Flags Discovery Kingdom! They’re open EVERY DAY April 12th thru April 28th and they have their daily “Spring Break Block Party”, along with their SkyScreamer ride running backwards (spring Beak ONLY!) and their other thrilling rides like The Joker and Medusa. Listen to Dave Tappan and Ryan O’Brien all this week as they’ll be hooking you up with a pair of tickets every day this week!